The designers at Closet Works are specialists in laundry room cabinet systems, and we proudly serve La Grange and the 60525 area. 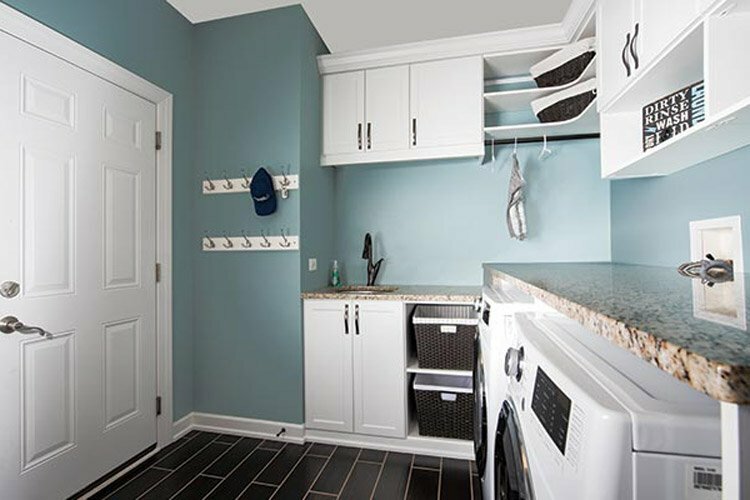 Let us help you optimize your space with new, custom laundry room cabinets today! View our gallery of laundry room cabinet ideas and solutions here! The laundry room is a busy place — piles of clothes waiting to be folded, chemicals sitting out, noisy machines turning. In your laundry room in La Grange with so much going on, it is important to maintain order with a strong cabinet organization system. As a potentially hazardous place for children and pets, laundry detergents and other dangerous products can be safely stored in these compartments out of harm's way. Need a place for all of those extra towels and linen? 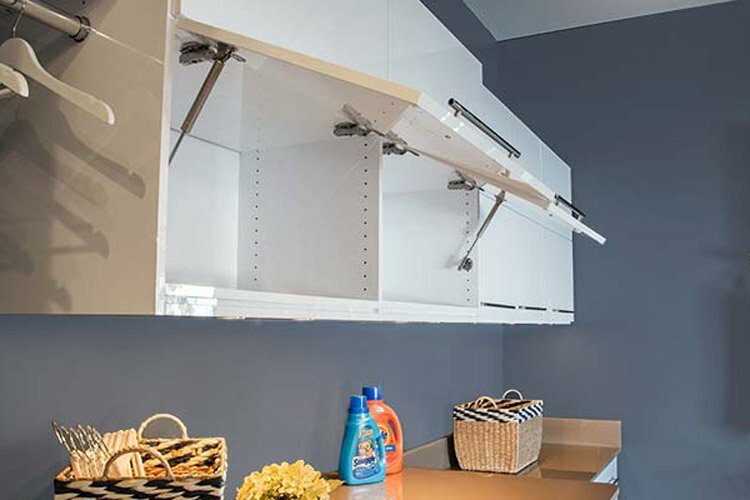 A custom Closet Works laundry room cabinet system is the perfect solution. 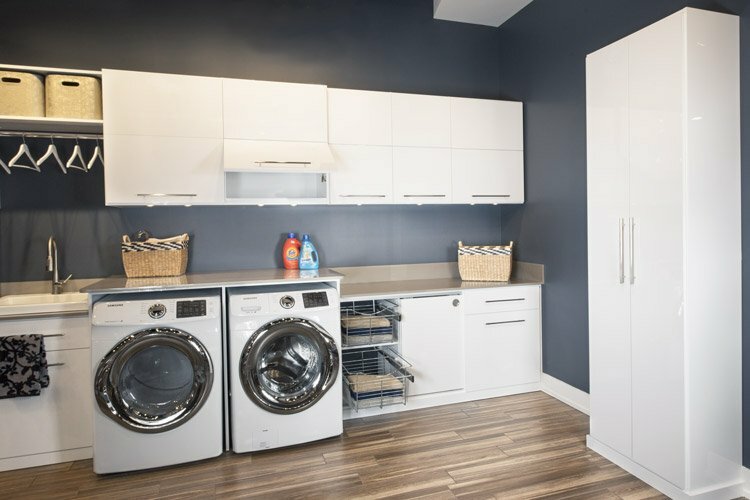 Laundry will seem less like a chore in your La Grange home if the design is customized to your needs for a more enjoyable experience. Laundry room cabinets from Closet Works will not only look great, but will make doing laundry easier than ever before. 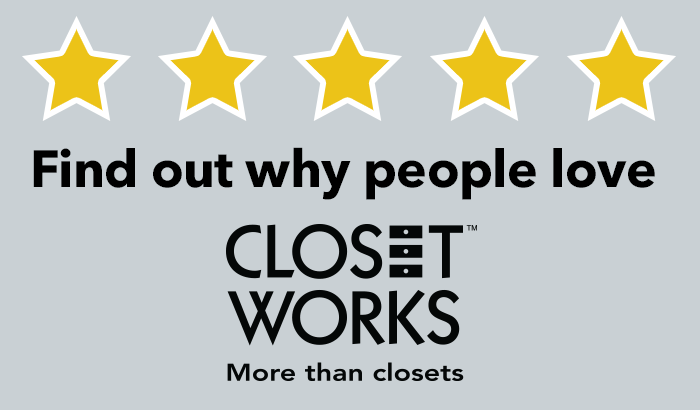 Designers at Closet Works are experienced in helping homeowners in the 60525 area with space management and creating pantries that work for you. We are specialists in La Grange laundry cabinetry solutions and proudly serve the Chicago area.